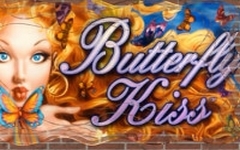 Overall, pokies with more paylines will pay out more frequently, so Butterfly Kiss, with 100 lines is an exceptionally low-volatiltiy game. This means that players will see lots of winning combinations land across the reels, although the prizes will on average be smaller than a game with just a few lines. This format will suit players who like to see a regular return on their wagers and in the case of this game, they will also be able to trigger frequent bonus features, including wild substitutions with multipliers, scatter payouts that are a multiple of the total bet and an interesting free spins round where they get to pick the spin to multiplier ratios. As the name suggests, Butterfly Kiss is themed around a posh type of moth, although there’s also images of bees, strawberries and a pouting girl along with the classic playing card icons on this 5 reel, 4 row game from the Aristocrat company. Butterfly Kiss has a nice, straightforward design with crisp, clear graphics and little in the way of distractions. There’s just a plain blue backdrop to the reels and that’s all the adornment we have other than side bars telling players that there are 100 lines to this game. All lines are permanently activated, so the only input players have is to adjust their bet size to suit the budget, which is done using the control buttons at the bottom of the game and then click to spin the reels. There is also an Autospin option which can be used to set the reels going without any need to click each time, which is perfect for those who just like to chill out and watch events unfold. Like other games from this developer, there’s a paytable with detailed information about how much each symbol is worth, along with a breakdown of any bonus features and how they will be triggered. Players get a prize by having 3 or more matching symbols across a line, on adjacent reels running from the left side, although scatter wins pay in any positions. Playing card symbols 10, J, K Q and A are standard across many pokies and make up the lower end of the value scale, with the 10 for example being worth 10, 20 or 100 coins when 3, 4 or 5 stop across a line. At the other end, the A will pay 20, 50 or 200 for the same combinations. 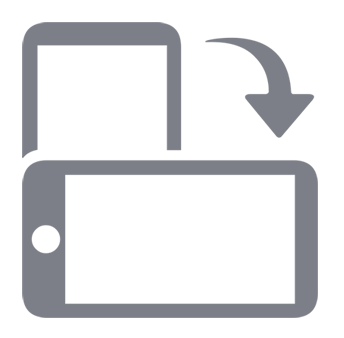 In order of value, the picture symbols are a toadstool, bee, hummingbird and flower, that pays 100, 200 or 1000 coins for 3, 4 or 5 on a line. A couple of bonus features are triggered by wild and scatter symbols. The pouting girl is the wild and she will pay out from 200 to 2000 coins, while also substituting for other symbols, with the exception of the scatter. Any time the wild completes a winning combination, the value of the win is doubled, so landing 2 of the A symbol and a wild for example, will be worth 40 coins, rather than the 20 which 3 A’s would be valued at. The butterfly makes an appearance next, as this is the scatter symbol that pays 2x the bet per spin when just 2 stop on the reels at any time, while 3, 4, 5 or 6 of them are worth 4x, 20x, 100x or 400x the stake. Any 3 or more will also take players to a free spins round, with 4 options presented to them before they start to play out. There’s 20 free spins, where all wins are doubled, 15 spins with any wins tripled in value, 10 free games with all prizes multiplied by 5x or finally players can opt to have just 5 free spins but any payouts will be multiplied by 10x. Keen mathematicians will quickly work out that the last 2 options should theoretically give the highest payouts, but it’s certainly not guaranteed. Butterfly Kiss is a colourful pokie that has some nice graphics and interesting features. By having so many lines players should score plenty of wins, although having the symbols over 4 rows rather than 3 will affect this. It’s the simple gameplay that will attract people, but once the bonus features are triggered, they could benefit from some great wins, with the wild symbol multiplier being a handy treat and the choice of several free spins games being an even better reward. Reels are standard throughout the free spins however, so wins are not guaranteed, making the 10 spins at a 5x multiplier or 5 spins at 10x perhaps the best compromises.